You must be a member of the Houston Arts & Culture Group to attend this activity. Would you like to join this group? 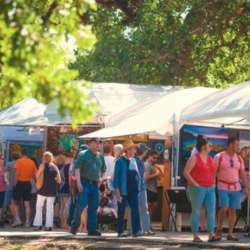 This festival is one of the top outdoor fine arts festivals in the nation. The three-day festival showcases the works of over Protected content the finest artists in the world. The Fall event showcased artists from all over the US, offering the opportunity to see what inspires artists in other states, including landscapes, local legends or simply new ideas. The outdoor event brings out more than 20,000 people to Memorial Park. There will be food, there will be entertainment, there will be a lot of art! Whether you are after inspiration for your own work, looking to buy something new for your collection or think your home needs a spruce up, this festival is the answer. The festival runs from Friday to Sunday, but I have set the event for Saturday afternoon. We will stroll through the festival chatting to the artists, looking at the art and probably grab a bite to eat at one of the food trucks or bars in the area afterwards. Tickets are valid for one day only and can be bought in advance for $12. Protected content booking fee from eventbrite. At the door the charge is $15.00 per ticket.